PROJECT MANAGEMENT PLASTIC INJECTION MOULDING TOOL MAKERS Accurate and precise tooling is paramount in the plastic injection moulding industry; at ADP we fully understand this importance to meet the exacting requirements of our trade customers. ADP works with aluminium, steel and fully hardened steel moulds. We securely store all tools ready for your next order to ensure batch consistency. This result of this is that every one of your components is precision manufactured to the exact same high standard every time. All drawings are archived for retrieval at any date. Computer Aided Manufacturing (CAM) takes the same specification and applies it to the machinery. This CAD-CAM approach ensures a perfect result, every time. Our tool makers use Computer Aided Design (CAD), which allows us to accurately demonstrate on screen how a component will look. 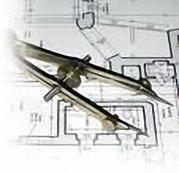 Our tool makers can easily make changes, alterations or additions to these drawings should you require this. This electronic design can be emailed and viewed prior to production tooling being manufactured.